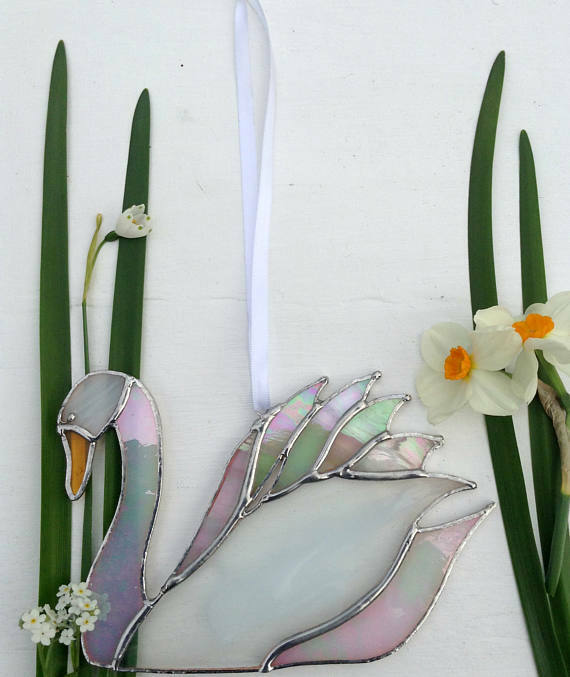 I just discovered Sue, a stained glass artist who has a shop called WylloWytch on Etsy. 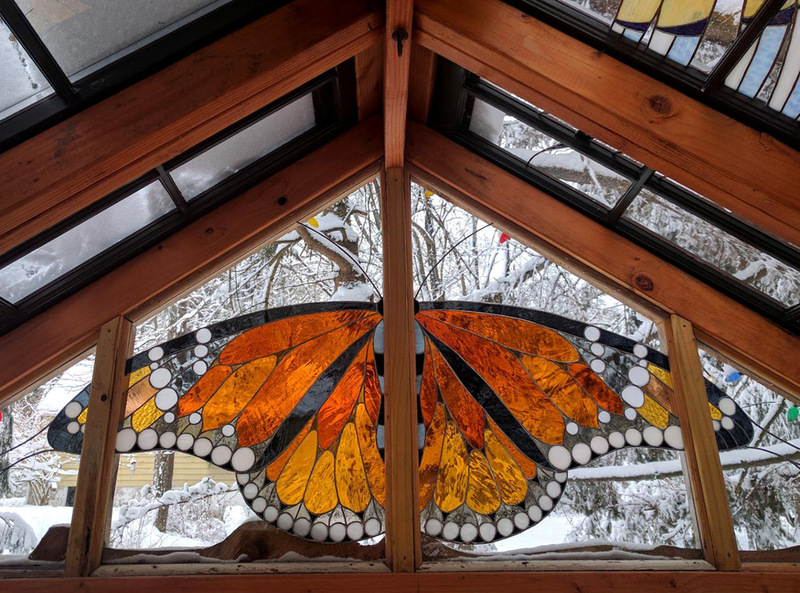 I just love her work and wanted to share it with you. 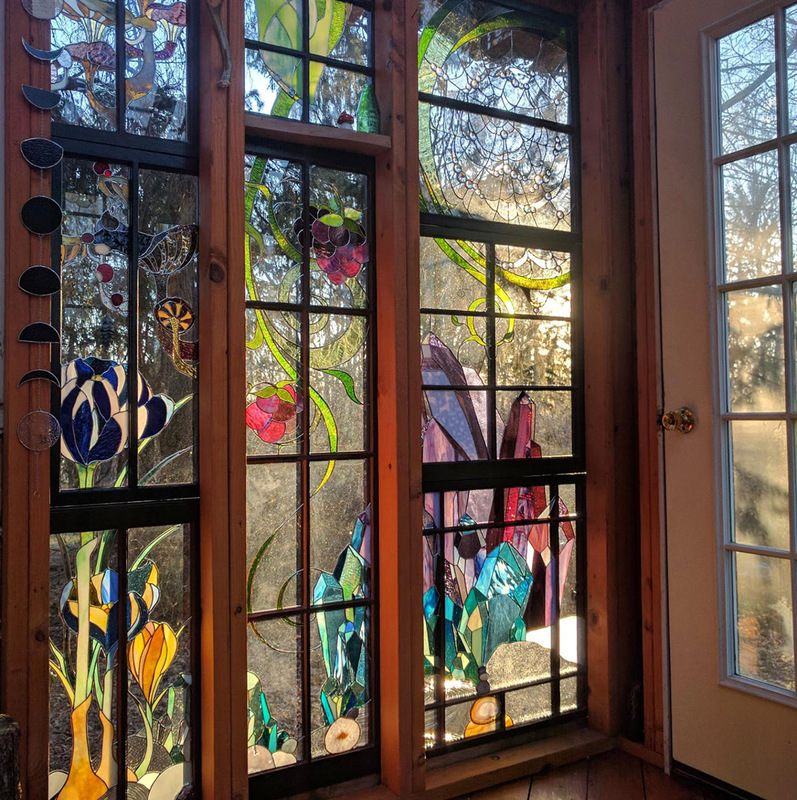 My husband and I have made some stained glass pieces, so I love finding people who really know what they’re doing and do it well. 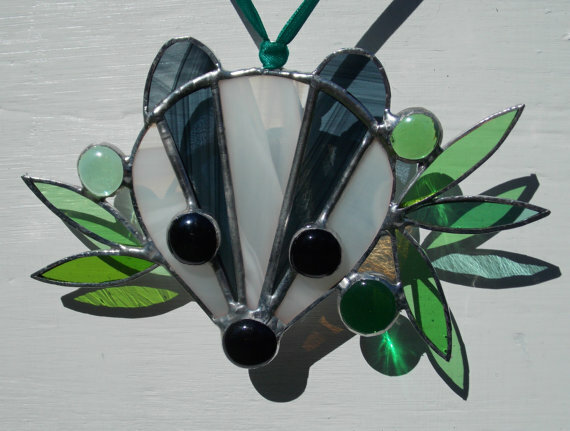 These pieces by Sue made me smile. 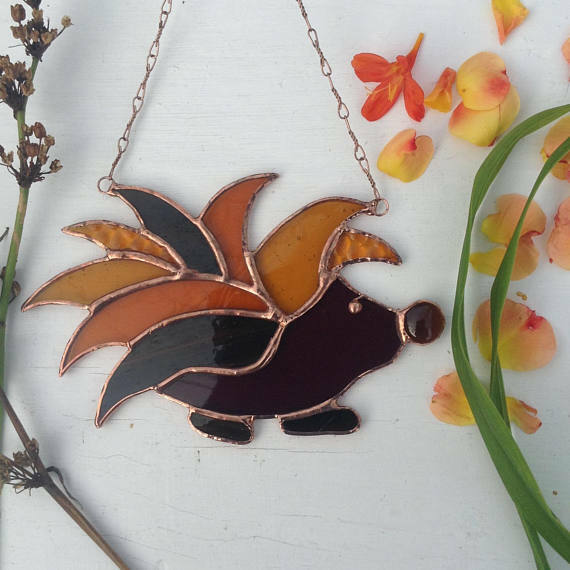 Go to to WylloWytch on Etsy and snap up these fun pieces! 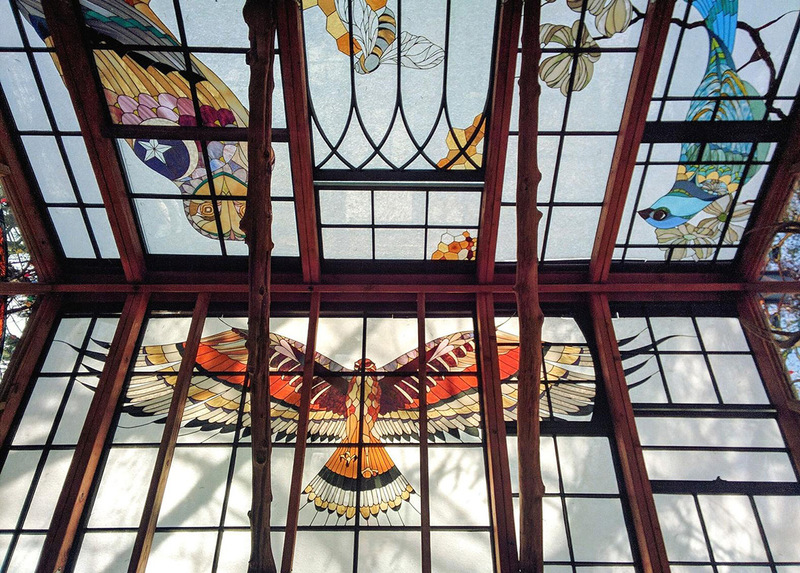 Christopher Jobson wrote a story for Colossal about Neile Cooper’s Stained Glass Sanctuary in Mohawk, New Jersey. 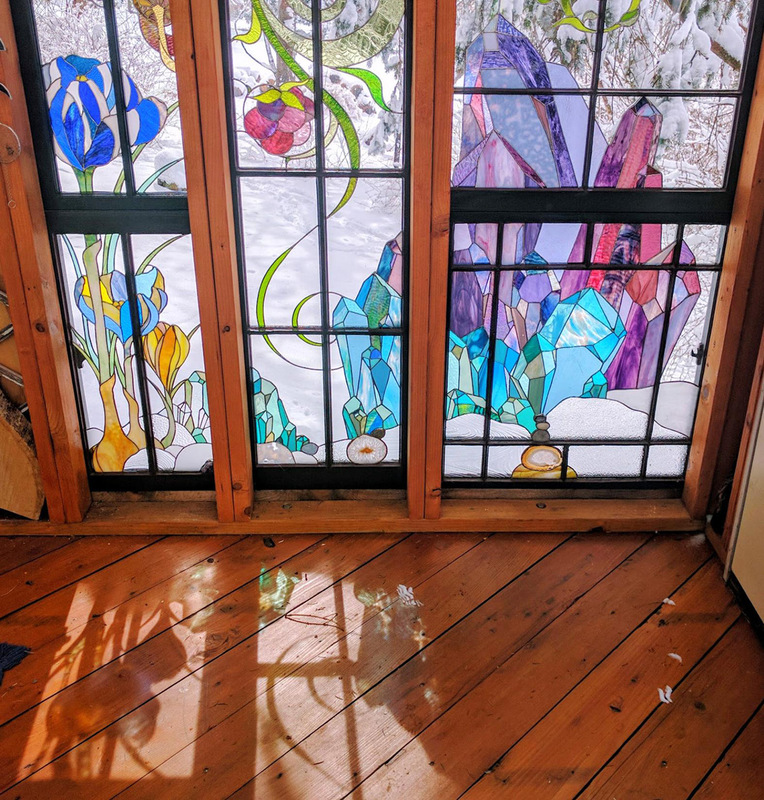 On almost every flat space is one of Neile’s beautiful stained glass artworks. I just can’t say enough about this. 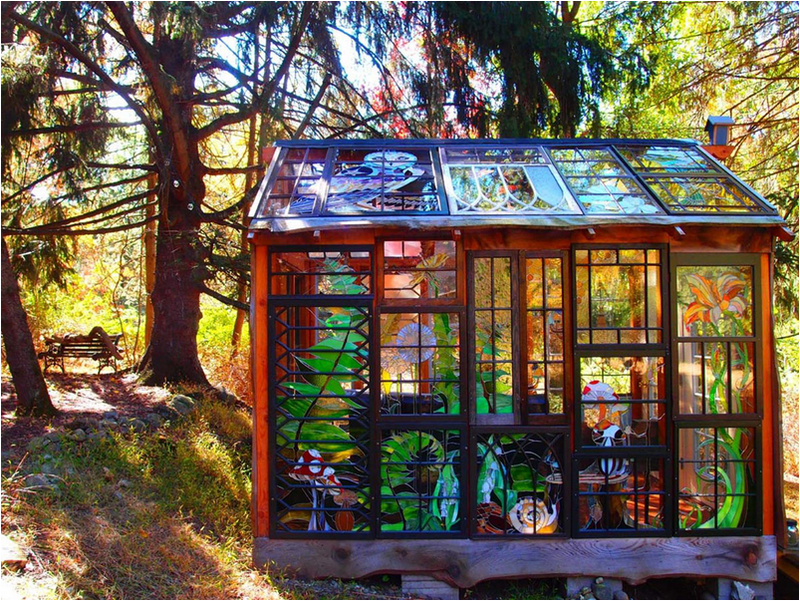 She built the cabin from recycled materials, then filled every space with a piece of stained glass. I’m in awe of her talent. 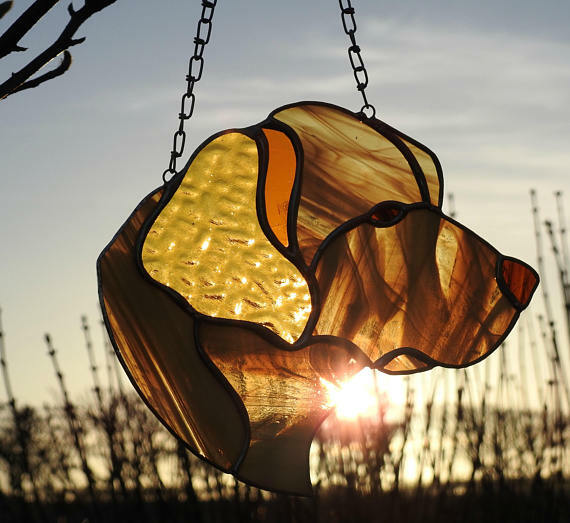 My husband and I have made some simple stained glass pieces. 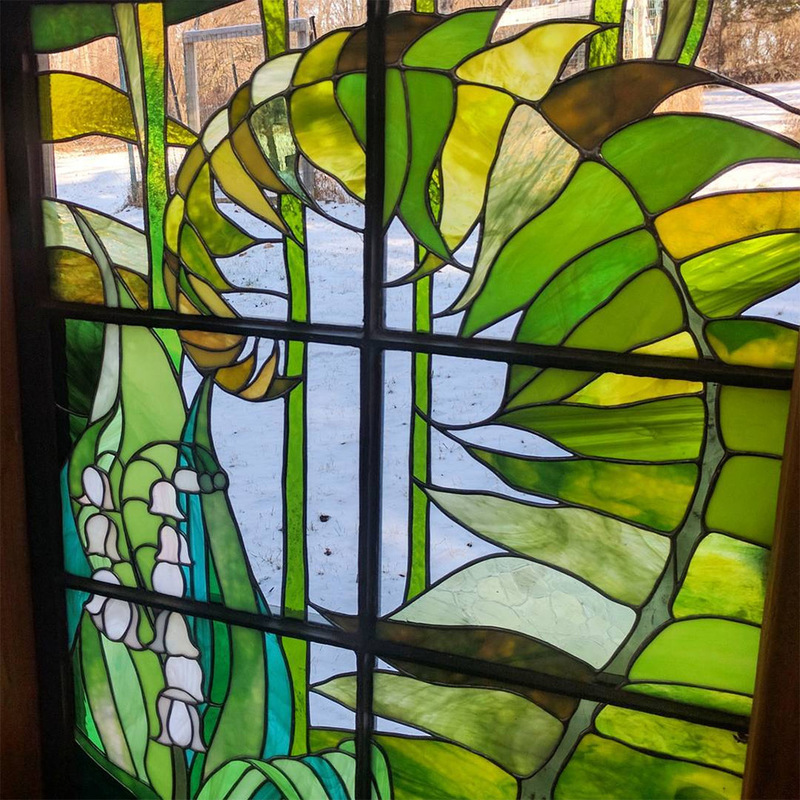 These are awe-inspiring, in that they are comprised of several pieces of glass with the design continuing, like a mural. 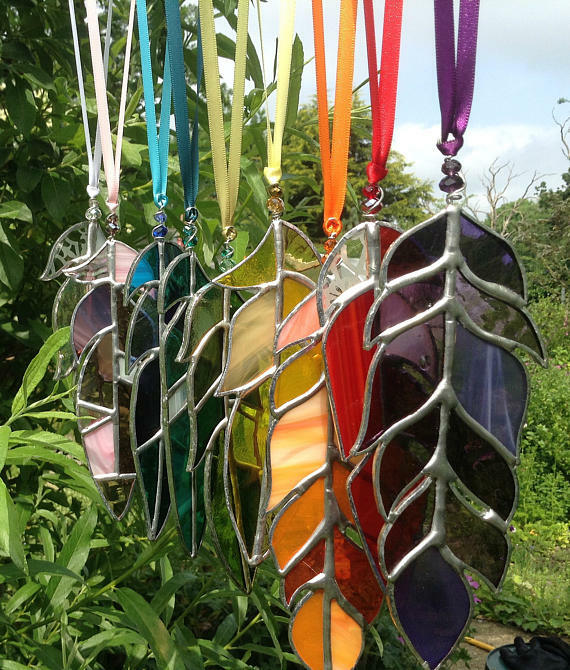 Creating the pieces shows incredible talent. 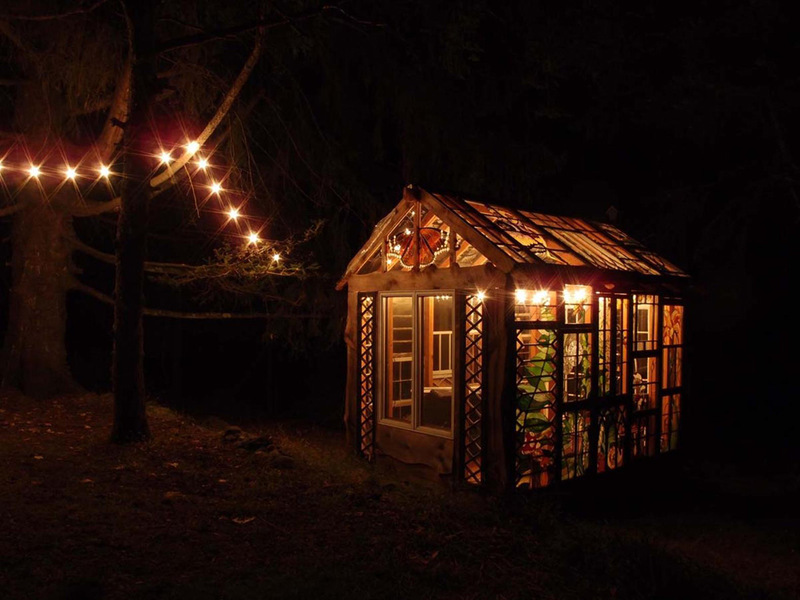 THEN, putting them up in the cabin simply blows my mind. 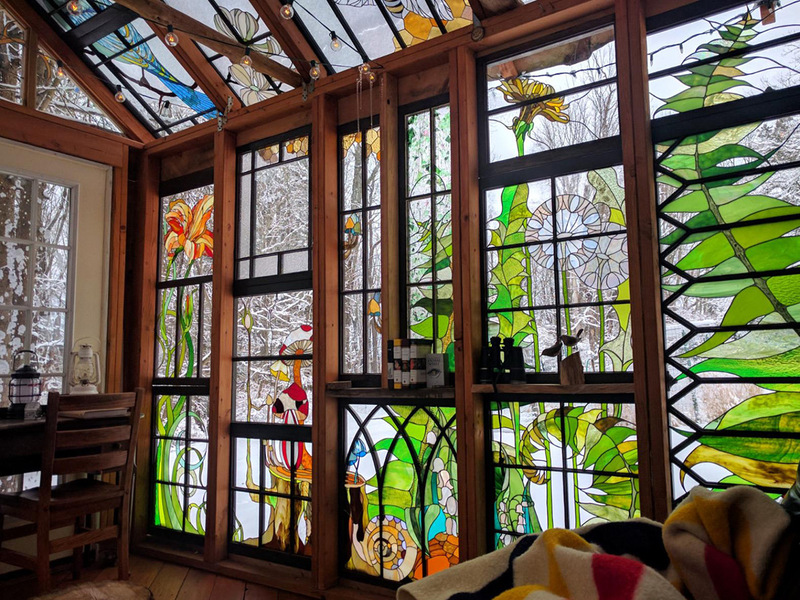 I can only imagine how it all looks from the inside. 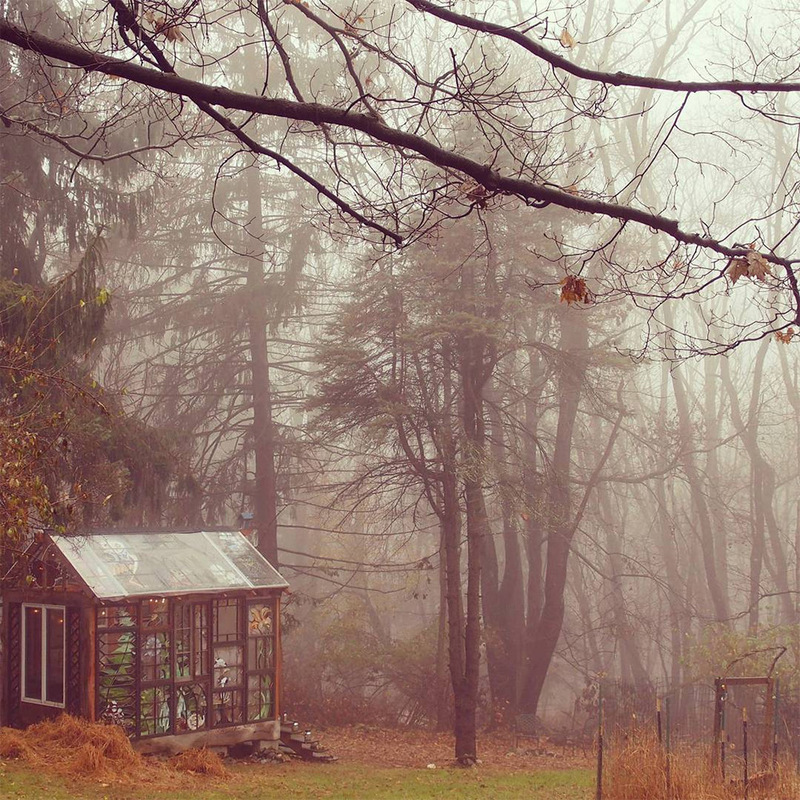 I’m not sure I could ever leave.